Thanks mahesh, First time I knew IPL use for dark circle also. It is more fine if you tell us how IPL is usefull in dark circle or how laser machines are usefull for dark circles. latest at home IPL hair removal machines are triple benefits age defying, hair removal and removing dark circle under eyes. Thanks for your valuable comments. 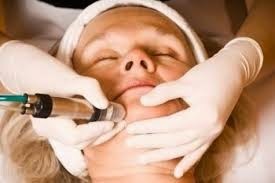 Hair removal, age defying and dark circles!! Wow I really need to get one of these now. I would love to get rid of these circles under my eyes for good!! these days most of device use IPL technology instead of laser because IPL systems deliver 3 benefits like age defying , dark circle removal etc. This sounds like a very interesting way to remove facial hair and removing dark circles. Those side effects sound a little scary though. Is there any way of knowing what side effects I may have? I got my first treatment done and I had to say that the pain feels like skin brushing, for anyone who has done that. It is uncomfortable but no where near as painful as waxing! As for the after… I had some mild irritation. My legs felt warm and were red, a bit itchy, but it went away after 2 days.